Graceful Italian Villa Styling in sought after gated Buell Mansion Homes of Cherry Hills Village. Enjoy the beautifully landscaped grounds and custom craftsmanship of the quality interiors with hand troweled walls, venetian plaster, arched entry, cherry floors and specialty woodwork throughout. Elegant entry, Great Room with focal point fireplace. Gourmet kitchen with Butler’s pantry, Main Floor Master Bedroom with French doors to the terrace. Three ensuite bedrooms with baths upstairs and a lower level that has custom desk cabinetry with bookcases as well as a private media room, private bedroom and bathroom and loads of additional unfinished storage space. The lovely setting has professional water feature with Koi fish and inviting covered terrace. 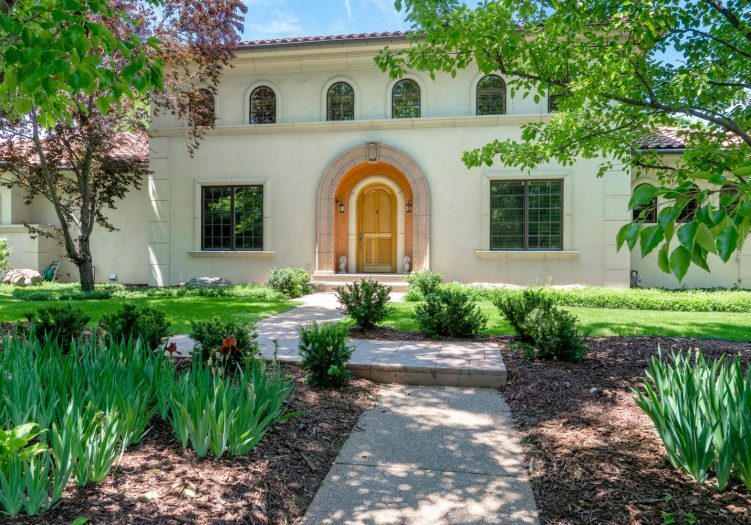 Buell Mansion is in the coveted Cherry Hills Village Elementary and Cherry Creek High School district and the neighborhood has a private pool, tennis courts, playground and access to the Highline Canal trails.